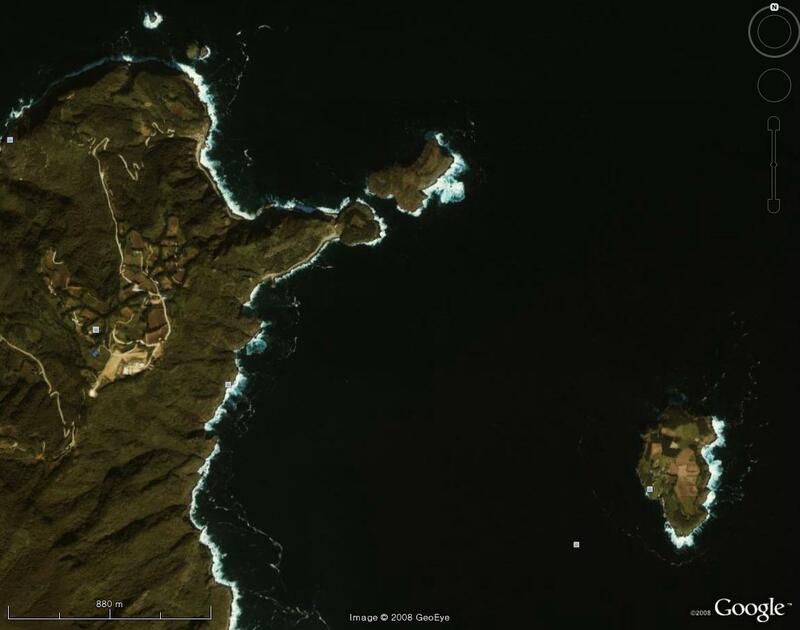 Dokdo-or-Takeshima? : 1955 - “Introduction to Dokdo Issue (獨島問題概論)” - ROK Government Blotted out Rusk Note to hide the truth from its own Diplomats. 1955 - “Introduction to Dokdo Issue (獨島問題概論)” - ROK Government Blotted out Rusk Note to hide the truth from its own Diplomats. 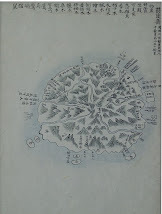 In 1955, ROK Minisitry of Foreign Affairs published the book titled “Introduction to Dokdo Issue (独島問題概論)”. The purpose of this book is, according to the preface written by KIm Dong-Jo(金東祚), a Minister of Foreign Affairs of ROK, to help Korean diplomats’ at overseas agencies of the Ministry of Foreign Affairs aquire better understandings on Dokdo Issue. However, the “American Embassy’s Note Verbale No.187” which dates on 4th Dec. 1952 attached in the 6th of “ANNEX” section of the book had crucial flaw for better understanding of the Issue. Note that it ends with “etc”. If you see other documents in the Annex, they add “etc” for the section they omitted mainly because it has not direct relationship with the Issue of Dokdo/Takeshima. 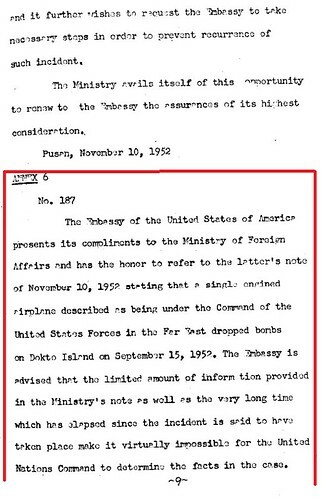 However, As was shown in the previous post, original American official Note No.187 dated on 4th Dec. 1952 had contained the part of notification of Rusk Note following the bombing matter and it clearly denied ROK claim on Dokdo and warned her that U.S. considered Takeshima/Dokdo is Japanese territory. ROK government apparently blotted out to conceal the fact that their claim on Dokdo had been already rejected by U.S. , leaving the islets to Japan, from its own diplomats. Check the original document below. “American Embassy’s Note Verbale No.187” dates on 4th Dec. 1952. The Embassy has taken note of the statement contained in the Ministry's Note that "Dokdo Island(Liancourt Rocks)...is a part of the territory of the Republic of Korea". The United States Government's understanding of the territorial status of this islands was stated in Assistant Secretary of State Dean Rusk's note to the Korean Ambassador in Washington dated August 10, 1951. As has told in the previous post, ROK government used the fact that U.S.’s suspension of the bombing on Liancourt Rocks after Korean fishermen/women were almost killed on 15th September, 1952. The document was thus included in the book for the purpose to reinforce their logic. However, Takeshima was finally decided to be released from bombing range by the U.S. & Japan Joint Committee on 19 Mar., 1953, not Korea-U.S. Committee, because of the petition by Shimane Prefecture. Although Rusk Note went to public on April 1978, even today, Korean government keeps telling lies, such as Usando is Dokdo’s old name, to its own people and never stops illegal occupation on Japanese islets. 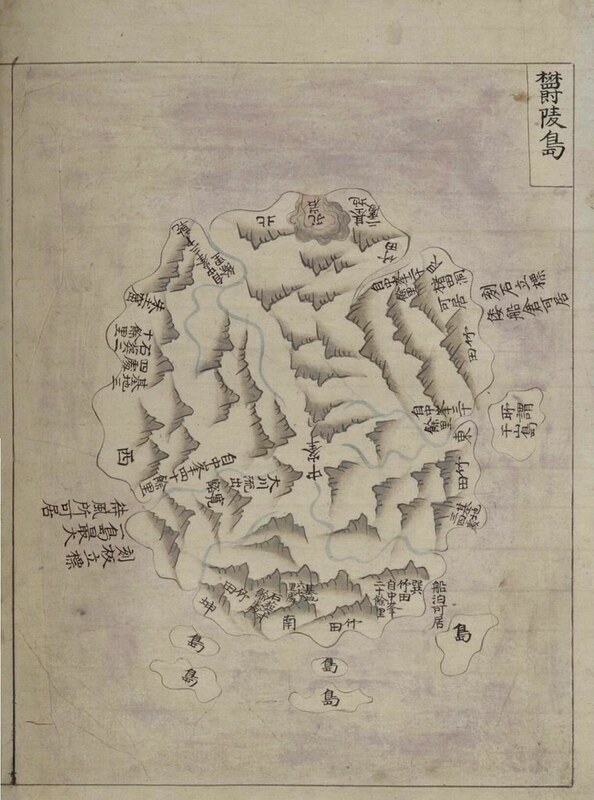 The only way for innocent Korean people to escape from deception by its own government is to see the first-hand historical documents and old maps which are available on this blog. The original idea of this “discovery” was brought by yabutarou and the photocopies of the book was provided by matsu. It was discussed on this blog on January 2010. 1946 - Feb 13 - "Conference with GHQ/SCAP concerning separation of the administration"
한국 정부 외무부는,국민들에 대해서는 물론, 부내 직원들에 대해서도,독도는 일본 땅이라고 통지해 왔던 미국의 러스크서한을 은폐 하고 있었다. It’s ture most Korean didn’t know what the Rusk Letter was until Japanese government tried to flame the Dokdo issue by allowing the Japanese history books describing Korea is unlawfully occupying Dokdo, which is not true. Now most Koreans who are concerned with Dokdo know about Rusk Note. Japanese say Rusk Note is an international law which proves Dokdo belongs to Japan. You should know Rusk Note was sent only to Korean ambassador in secret without agreement of allied countries. According to Potsdam, it was the allied countries that could decide the territory of Japan. So Rusk Note has no significance as a international law. Then you may ask why Korean government were reluctant to let the Korean know the Rusk Note? So far, Korean government and Korean people didn’t like to make a fuss about Dokdo issue because we believe Dokdo is Korean territory, . And Korean government was afraid of anti-Americanism after many Korean knew what American government did about Dokdo. But now we are different because of Japanese aggressive claim about Dokdo I wonder why Japanese government is revealing Japanese government document in 1877 which reported Japan has nothing to do with Dokdo. Japanese do not say such inconsistent claim like that “Rusk Note is an international law”. You had better study about the relation between Rusk Note and Treaty of Peace with Japan. You should know Rusk Note was the rejecting answer to the Korean Government who asked to U.S. to put Dokdo in Korean territory. Korean Government could announce Rusk Note officially if they want to do so. The reason they did not is because they did knew that Rusk Note was right. Also,Japanese government document in 1877 has nothing to do with Takeshima-Dokdo issue because it does not say “Japan has nothing to do with Dokdo”. You can not learn precise knowledge about Takeshima-Dokdo issue through the informations in Korea,for example,"truthofdokdo.com". I have seen so many Japanese people who proudly mention Rusk Note an international law justifying their claim. I’m glad you know what the Rusk Note means. You may agree Rusk Letter is not backing up Japanese claim at all. Then why does the Ministry of Foreign Affairs of Japan say like this, “based on this correspondence, it is obvious that Takeshima was affirmed as a territory of Japan” in its homepage. Korean government didn’t announce Rusk Note officially because they didn’t want to. Why did they have to? Korean government has pursued the so called quite diplomacy which was proved to be wrong. 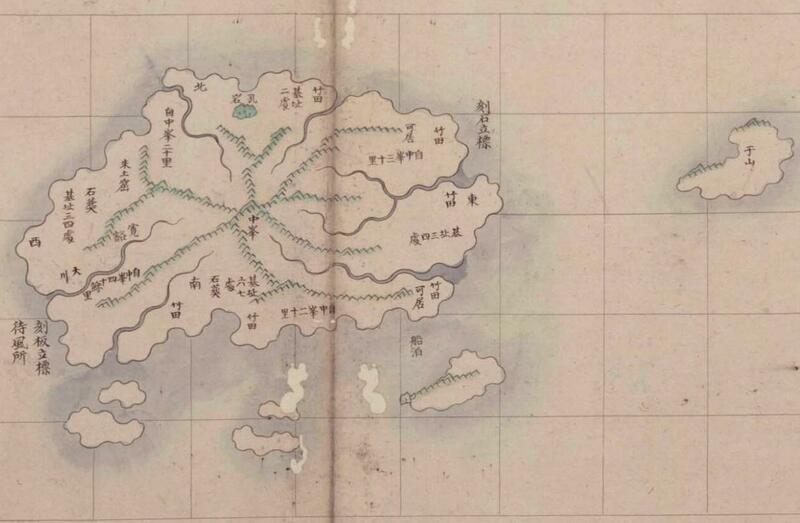 Japanese government document of 1877 is very significant because it acknowledged Dokdo as territory of Korea. >I have seen so many Japanese people who proudly mention Rusk Note an international law justifying their claim. Rusk note is effective as the supplementary for the interpretation of the SF paece treaty in the international law. 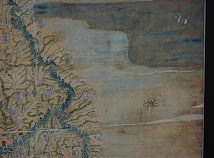 MOFA says “Based on this correspondence, it is evident that Takeshima was affirmed as part of the territory of Japan”. It does not say “Rusk Note is an international law” as you wrote. 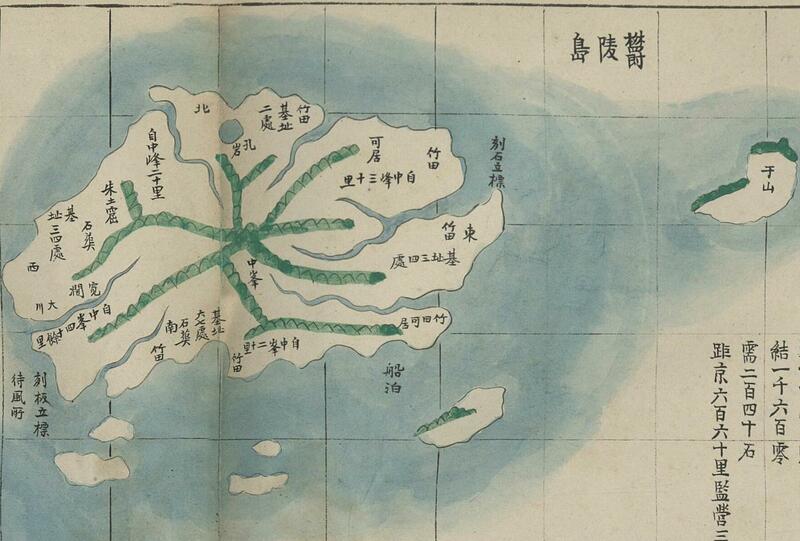 You can not prove that Japanese government document in 1877 says “Japan has nothing to do with Dokdo”. You can not learn precise knowledge about Takeshima-Dokdo issue through the distorted informations in Korea. Rusk Note was sent to Korean ambassador in secret without the agreement of the allied nations. It was the judgement made by America alone. According to Potsdam Declaration, the allied nations were supposed to decide the territory of Japan. If the allied nations agreed with American position, there could be no problem in clearly including Dokdo as territory of Japan in the San Franciso Treaty. And if you insist Rusk Note is effective as international law, SCAPIN No.677 is more and the most effective document that Dokdo is not territory of Japan. After peace treaty, in 1951, Japanese government sumitted 日本領域圖 to衆議院which marked Dokdo as territory of Korea which means the acceptance of peach treaty. Now Japanese government is insisting international law is supporting Japanese claim because of Rusk Note? You don't say anything about what MOFA said. That's fine. Let me tell you about the Japanese government document in 1877. 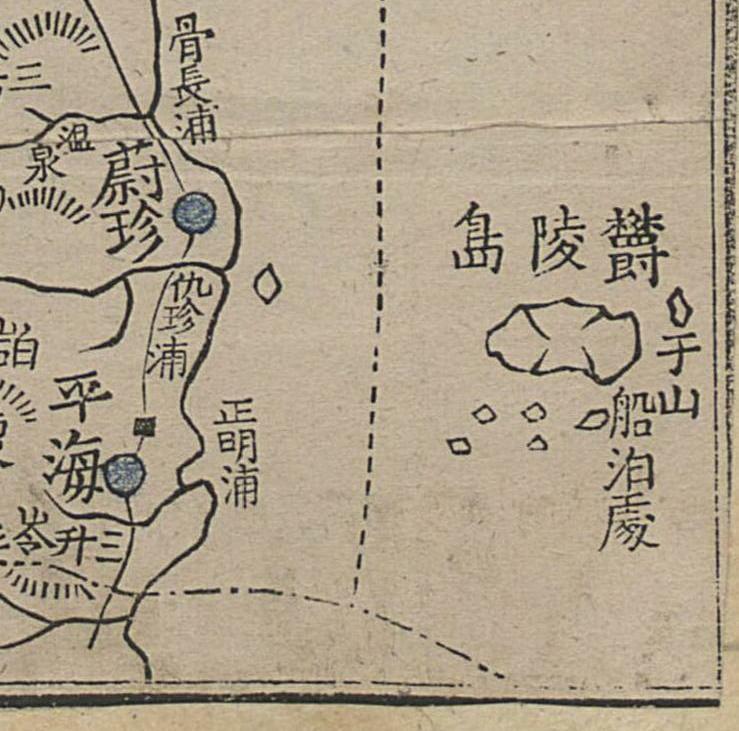 In 1877, when asked if 竹島 and 松島 should be incorporated into 島根県, 太政官 said '竹島外一島の儀、本邦関係これなし' after inspection. 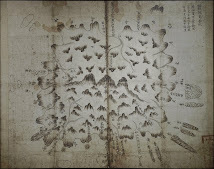 How do we know 外一島 is Dokdo? 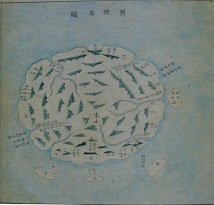 The attached document says '外一島' is called 松島 and described the 外一島 in detail. 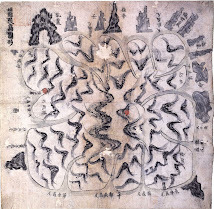 The attached map '磯竹島略圖' marked Dokdo prcisely. 堀和生 of Kyoto University in 1987. If you want the pictures of document and map, ask me. If you want to say something about the Dajoukan order of 1877, there are many old Japanese documents and maps which you should read or see. The Dajoukan order of 1877 is not intelligible material simply, though you intend to have understood it. 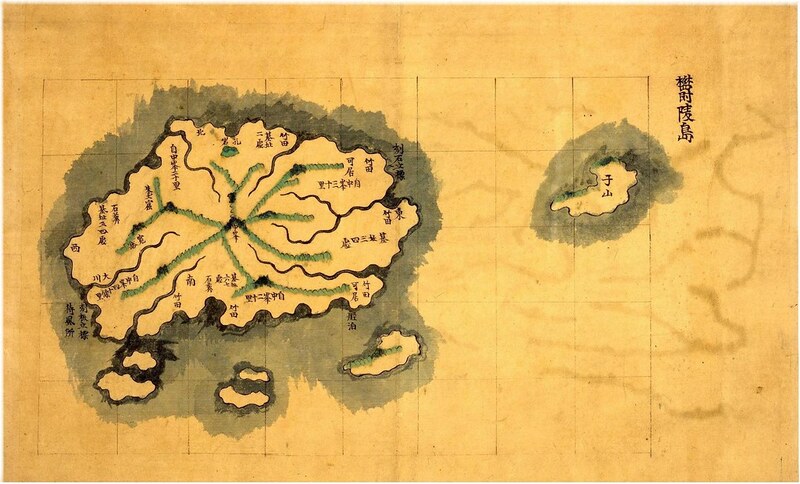 But, even if you study about old Japanese document and old maps as anything eagerly, you can not prove that The Dajoukan order in 1877 says “Japan has nothing to do with Takeshima/Dokdo”. I think I already proved it. >Rusk Note was sent to Korean ambassador in secret without the agreement of the allied nations. It was the judgement made by America alone. 48 countries have agreed on the San Francisco treaty. Who did say that Rusk note is a treaty？ Who did say that the international law need the agreement for the "supplementary means of interpretation" ? Present South Korea has lost the power of the "administration" of the US Forces base and Japanese embassy in South Korea. Do you think that Korea lost her sovereignty of these territories? Japan lost her power of the administration of the Takeshima by SCAPIN677. But this doesn't mean the lost her Sovereignty. It may happen that the process of government over an area, with the concomitant privileges and duties, falls into the hands of another state. Thus after the defeat of Nazi Germany in the Second World War the four major Allied powers assumed supreme power in Germany. The legal competence of German state did not, however, disappear. What occurred is akin to legal representation or agency of necessity. The German state continued to existence. The very considerable derogation of sovereignty involved in the assumption of powers of government by foreign states, without the consent of Germany, did not constitute a transfer of sovereignty. A similar case, recognized by the customary law for a very long time, is that of the belligerent occupation of enemy territory in time of war. The important features of ’sovereignty’ in such cases are the continued existence of legal personality and the attribution of territory to that legal person and not to holders for the time being. It seems that your knowledge of the international law is poor. You should explain in easier way for me if you want. I didn’t say SCAPIN677 is an international law as strong evidence Dokdo is Korean territory. I said if you insist Rusk Note is effective as international law, SCAPIN No.677 is more and the most effective international document that Dokdo is not territory of Japan. 48 countries who signed the treaty has agreed with the contents of the SF treaty. It considers that 48 countries who signed the treaty has agreed including the meaning of STEP2. Can you understand? You should read judicial precedents and textbook of a treaty interpretation. You are not responding to my question accordingly. I didn’t ask about SF Treaty. Don’t try to be looked like you know much by writing a lot of things which are unrelated to the question. Read Vienna Convention Article 31 I put in previous comment again, then you wll know why Rusk Note can’t be effective international law. Read Vienna Convention Article 31 I put in previous comment again, then you know why Rusk Note can’t be effective as international law. Article 31 is regulations of the treaty itself. Article 32 is regulations for the supplement of the interpretation of a treaty. Rusk note is effective as the supplement of the interpretation of the SF treaty. Then article 31 is noting to do with the validity of rusk note. Even 金明基　who is a Korean ultra nationalistic scholar of the international law admitted rusk note as the supplement of the interpretation of a SF treaty based on article 32. I must say that you cannot understand even the difference between a treaty and a supplement for the interpretation of the treaty. And your knowledge of the international law is poor. To be supplementary according Article 32, the supplement of interpretation should be resulted from the application of article 31. I must say your knowledge of the international law is poor,too. >To be supplementary according >Article 32, the supplement of >interpretation should be resulted >from the application of article 31. I can't understand your selfish rule. Please show me the Judicial precedent which support your strange logic. First the treaty interprets in the usual term of the a treaty. Second, the meaning is reconfirmed by the supplement. An interpretation by the text of the SF treaty and Rusk note are adjusted. If you claim that it is clear that Japan did not renounce Takeshima without Rusk note, I will agree with you. The ordinary meaning of the geographical term is as follows. This is a point as to which the burden of proof lies on Norway. The geographical meaning of the word "Greenland", i.e. the name which is habitually used in the maps to denominate the whole island, must be regarded as the ordinary meaning of the word. If it is alleged by one of the Parties that some unusual or exceptional meaning is to be attributed to it, it lies on that Party to establish its contention. In the opinion of the Court, Norway has not succeeded in establishing her contention. SF treaty is as follows. Geographical area of the term of "Dagelet(Ulleungdo) " is important for the interpretation of the SF treaty. However, it is very easy to prove this. The Korean Ambassador to the Secretary of State, Washington, July 19, 1951. 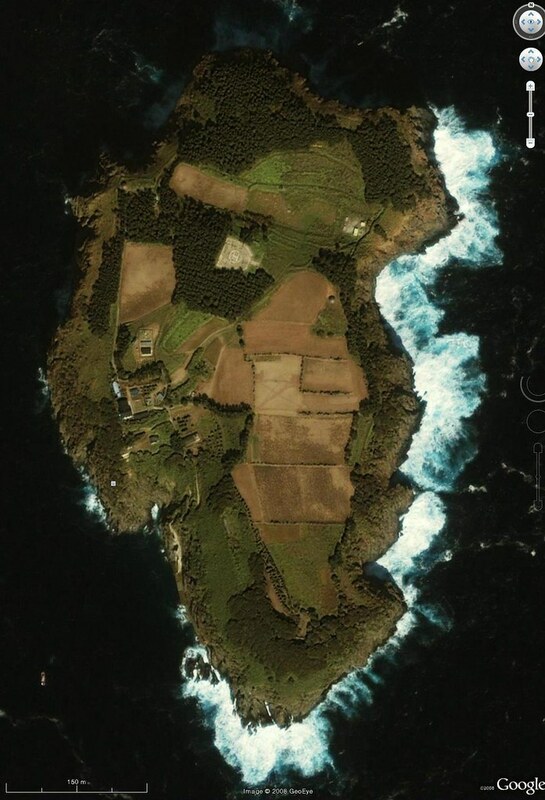 Even South Korea recognized Ulreungdo and Takeshima are another islands. From distance, it can say tht Takeshima is not belonging island of Ulleungdo too. 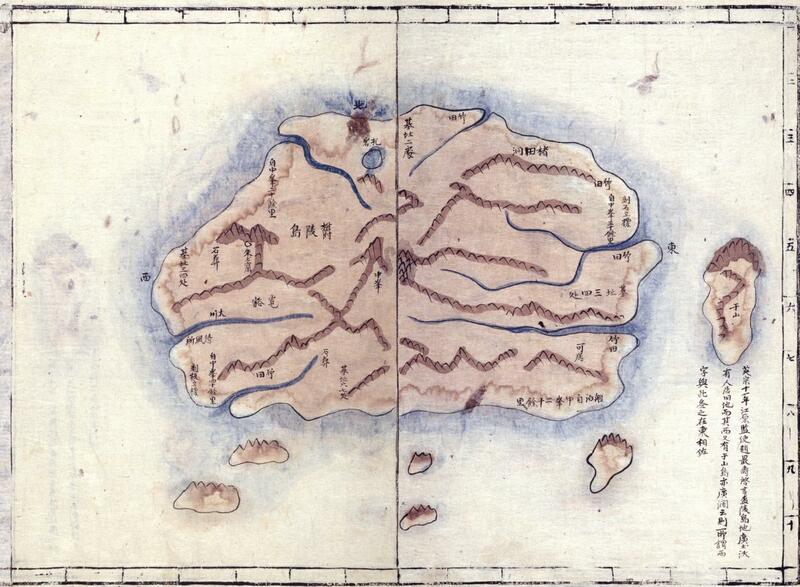 The Court observes that these three islands are surrounded by many smaller islands that could be said to "belong" to them geographically. The Court, however, considers that this cannot apply to Ligitan and Sipadan, which are situated more than 40 nautical miles away from the three islands in question. Then, If you claim that it is clear that Japan did not renounce Takeshima without Rusk note, I will agree with you. To be supplementary according >Article 32, the supplement of >interpretation should be resulted >from the application of article 31. → This is not what I said. I just cited Article 32. I’m sorry I didn’t get your point. You may try again. I have nothing against SF Treaty. As the result of SF Treaty, Dokdo became Koeran territory again. >I just cited Article 32. See my article on 16/10/11 00:07. Rusk note confirmed this result. It consistent completely with 32 articles. Do you want to say that Rusk note is effective as supplementary means? If you say so, I will agree with you. >As the result of SF Treaty, Dokdo became Koeran territory again. You want to think so. But the truth differs from your wish. SF treaty never say so. See my article on 16/10/11 00:07. 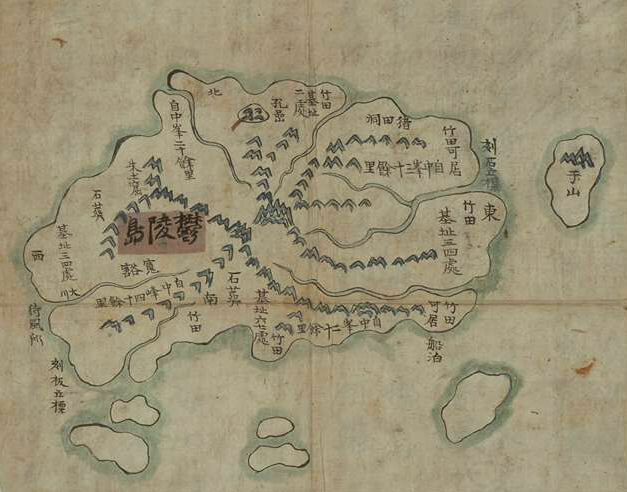 (a) Japan recognizing the independence of Korea, renounces all right, title and claim to Korea, including the islands of Quelpart, Port Hamilton, and Dagelet. Notice that Dokdo was not included among the territory that Japan was to renounce, even though Korea had requested that it be included. The Island of Dokto (otherwise called Liancourt and TakeShima) is in the Sea of Japan approximately midway between Korea and Honshu (131.80E, 36.20N). 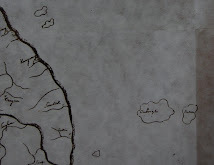 This Island is, in fact, only a group of barren, uninhabited rocks. 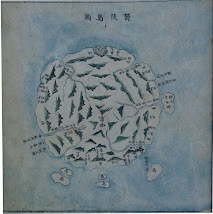 When the Treaty of Peace with Japan was being drafted, the Republic of Korea asserted its claims to Dokto but the United States concluded that they remained under Japanese sovereignty and the Island was not included among the Islands that Japan released from its ownership under the Peace Treaty. The Republic of Korea has been confidentially informed of the United States position regarding the islands but our position has not been made public. Though the United States considers that the islands are Japanese territory, we have declined to interfere in the dispute. Our position has been that the dispute might properly be referred to the International Court of Justice and this suggestion has been informally conveyed to the Republic of Korea. The above confirms that the United States did, in fact, recognize Takeshima (Dokdo) as Japanese territory and also believed that the 1952 treaty did, as well. 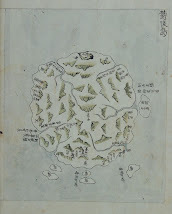 Korea has no old maps of Dokdo or any documents showing that Koreans ever visited the island before the Japanese started taking them there on Japanese fishing boats in the early 1900s. Boggs is an American geographer. If it is decided to give them to Korea, it would be necessary only to add "and Liancourt Rocks" the end of Art.2,par.(a). This shows that the term of "Dagelet(Ulleungdo)" doesn't have the meaning of Takeshima geographically and Japan didn't renounce Takeshima at the SF treaty. 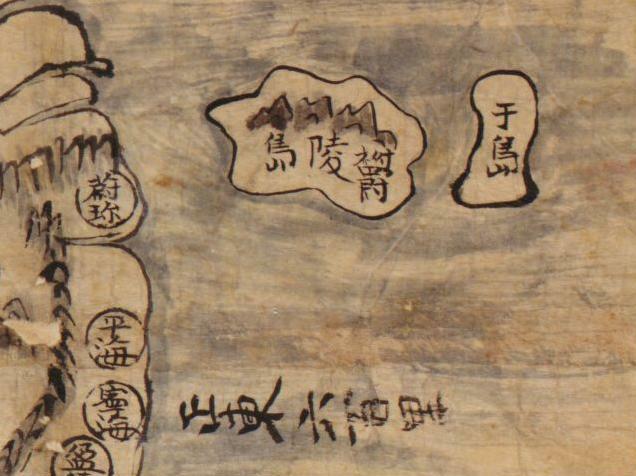 I found new materials about SF treaty from the "Tokto charyo: Miguk pyon" which was published from 国史編纂委員会. Steve quotes ambiguous Bogg's memo here, and he makes the story. But Boggs had sent the detailed memo agan after three days. If it is decided to give them to Korea, it would be necessary only to add "and Liancourt Rocks" at the end of Art. 2, par. (a). Of course, "and Liancourt Rocks" was not added to the end of Art. 2, par. (a) of the treaty, which is even more evidence, if anymore were needed, to show that the 1952 treaty recognized Liancourt Rocks as Japanese territory. Thank you for sharing that letter, Opp. --> Even though America recognized Dokdo as Japanese territory in Rusk Note, Rusk Note wasn’t reflected in SF Treaty. 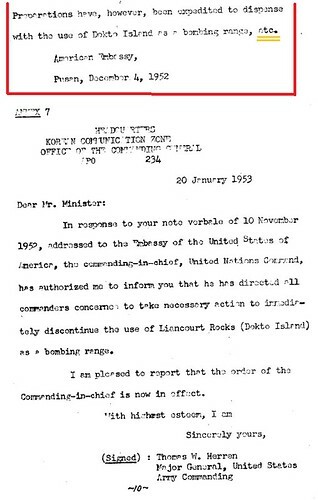 Because this letter was confidentially sent to only Korea and not to the Allied Nations. If SF final drafts was made based on the Rusk Note, why wasn’t Dokdo specified as Japanese territory? Other Allied Nations such as UK, New Zealand and Canada didn't agree with U.S. policy over Dokdo. 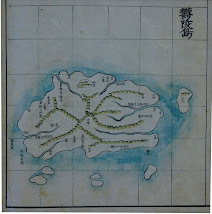 The early U.S. drafts of SF Treaty specified Dokdo as Korean territory and later U.S. drafts specified Dokdo as Japan's territory, but the final joint draft omitted Dokdo. This shows there was disagreement between nations resulting in ommitting Dokdo. The fact Dokdo was not included among islands Japan should renounce desn't mean Dokdo is Japanese territory. Other hundreds of Korean islands were not mentioned, either. Mr. Dulles’ speech represented the official U.S.Policy over Japan's territory. Do you know the 일본영역도 which was put in the Mainichi Newspaper in 1952 after SF Treaty? This map shows Dokdo as Korean territory, which means Dokdo was thought as territory of Korean in Japan. In Mr. Dulles's report in 1954, America confirms her position supporting Japanese claim to Dokdo. "The Republic of Korea has been confidentially informed of the United States position regarding the islands but our position has not been made public." This indicates U.S. never openly, officially supported Japan's claim to Dokdo. Again,Rusk Note has nothing to do with SF Treaty by Allied Nations. There are some papers showing contradiction or inconsistence of U.S. to the statement made in Rusk Note and U.S. positions over territorial ownership based on her interests. I can give you information about this, if you want. In conclusion, Rusk Note is just U.S. position over Dokdo during the early 1950s in secret and it is not a strong background for Japanese claim over Dokdo today. --> This means the history of Takeshima started from early 1900s and Japan never claimed Dokdo as her territory before 1905, right? That’s fine. 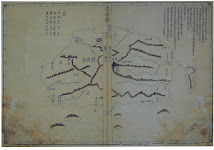 Old Korean maps would be useless to you because you don’t trust them. 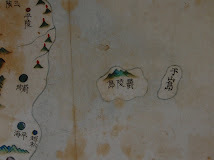 Instead, there are many old Japanese maps and documents proving Dokdo belongs to Korea. If SF final drafts was made based on the Rusk Note, why wasn't Dokdo specified as Japanese territory? The fact Dokdo was not included among islands Japan should renounce desn't mean Dokdo is Japanese territory. The Americans would prefer a wording which emphasized the full sovereignty of Japan such territory as we should leave her and, exclude by name from her sovereignty and only such territory and islands as might be necessary to avoid confusion. Article 1 (b) The Allied Powers recognize the full sovereignty of the Japanese people over Japan and its territorial waters. The fact Takeshima was not included among islands Japan should renounce means Japanese full sovereignty by article 1(b). Other Allied Nations such as UK, New Zealand and Canada didn't agree with US policy over Dokdo. Both Delegations agreed that it would be preferable to specify only the territory over which Japan was renouncing sovereignty. In this connection, United States Article 3 would require the insertion of the three islands Quelpart, Port Hamilton and Dagelet. It is thought that the islands of the Inland Sea, Oki Retto, Sado, Okujiri, IRebun, Riishiri, Tsushima, Takeshima, the Goto Archipelago, the northernmost Ryukyus, and the Izus, all long recognized as Japanese, would be retained by Japan. "In view of the need to ensure that none of the islands near Japan is left in disputed sovereignty, the New Zealand Government favors the precise delimitation by latitude and longitude of the territory to be retained by Japan as suggested in Article 1 of the United Kingdom's draft. The adoption of this device could for example make it clear that the Habomai Islands and Shikotan at present under Russian occupation will remain with Japan." UK has been convinced by renunciation of three islands. New Zealand suggested about the regular method. Australia comfirmed detailed information. Did they go against “US policy over Takeshima”? Do you know the 일본영역도 which was put in the Mainichi Newspaper in 1952 after SF Treaty? Does a private newspaper have priority over national representation with full power in Korean rule? It differs in international law. Note, Rusk Note wasn't reflected in SF Treaty. 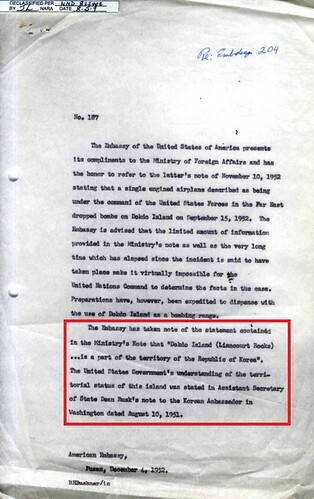 My Government requests that the word “renounces” in Paragraph a, Article Number 2, should be replaced by “confirms that it renounced on August 9,1945, all right, title and claim to Korea and the islands which were part of Korea prior to its annexation by Japan, including the island Quelpart, Port Hamilton, Dagelet, Dokdo and Parangdo. The sentence of draft on June 14, 1951 was completely the same as final text. Therefore it can say that the Rusk note had already reflected the territorial sentence of the article2 of the SF treaty. Other hundreds of Korean islands were not mentioned, either. This is the same as the claim of the Korean government of the 1950s. However, this opinion is contradictory to the correction demand of South Korea to a draft. South Korea has only mentioned Dokdo(Takeshima) and Parangdo. She did not mention other hundreds of islands. South Korea recognized that the position of Takeshima is different from other islands technically and geographically. Furthermore, other Korean islands can be considered as follows on international law. 1.Korea acquired the title of other islands by the peaceful effective control after SF treaty. 2.Most islands are in less than 3 nautical miles from a peninsula, Quelpart, Port Hamilton or Dagelet. Japan renounced other islands by the SFtreaty as a legal unit of these territories. Of course, this legal theory is inapplicable to Takeshima. How come do you conclude this sentence is in favor of Japan? He consistently included Dokdo as the territory Japan should renounce. He didn't mean " If it is decided to give them to Japan, don't put the Liancourts Rocks as Koean territory Japan should return." --> You mean Mainich Newspaer printed that which was against the government's position and fooled the Japanese people? If you believe so, I have nothing to say. --> Korea asked to specifify Dokdo as territory Japan renounces, but America refused it in Rusk Note in secret. Then U.S. could know the importance of Dokdo to Korea and assumably even the possible future dispute over Dokdo between Korea and Japan. I think U.S. was smart enough to put Dokdo as Japanese territory if she wanted to give Dokdo to Japan. But she didn't. She couldn't because the other Allied Nations didn't agree with U.S. policy over Dokdo. The reason why Korean Government demanded to put Takeshima/Dokdo in to Korean territory is that they knew Takeshima/Dokdo would remain as Japanese territory in SF Peace Treaty. Then, U.S. refused that Korean demand about Takeshima/Dokdo through the Rusk note. Korean Government know, from 1951 until today, the fact that Takeshima/Dokdo is in Japanese territory in SF Peace Treaty. It is useless to insist that Takeshima/Dokdo is not included in Japan’s territory. Yes, Korean Government worried Dokdo to be put as Japanese territory in SF Treaty, but it wasn't in the final draft,which was right. --> How do you know this? Give me any evidence if you can. --> I just said the fact. After all you do not seem to be able to understand it. I have already written the answer. If you believe so, I have nothing to say. I agree that you couldn’t anything to say. Your comment never proof that Japanese government agree with the renunciation of the Takeshima. And you will not know even what Japanese government protested the Lee line and Korean illegal occupancy of Takeshima. Korea asked to specifify Dokdo as territory Japan renounces, but America refused it in Rusk Note in secret. Then U.S. could know the importance of Dokdo to Korea and assumably even the possible future dispute over Dokdo between Korea and Japan. You only repeat the selfish rule which violate the international law. International law does not require the published supplement. After the defeat of the Central Powers in the First World War, and the Axis Powers in the Second World War, the leading victor states assumed a power of disposition, to the exercised jointly, over the territory of the defeated states. In the years 1919 and 1920 decisions were taken by the Supreme Council of Allied and Associated States; in 1943 and 1945 by meetings of leaders at Tehran, Yalta, and Potsdam, and subsequently by meetings of Foreign Ministers, States losing territory as a consequence of dispositions in this wise might, and often did, renounce title by the provisions of a peace treaty to the areas concerned, but the dispositions were usually in possession prior to the coming into force of a peace treaty. The existence of this power of disposition or assignment is recognized by jurists, but they find it difficult to suggest, or to agree upon, a satisfactory legal basis for it. Some translate political realities into legal forms by supposing that the community of states has delegated such a power to the ‘principal’ or ‘great’ powers. Others, at least in relation to the Second World War, postulate a right to impose measures of security, which may include frontier changes, on an aggressor consequent on his defeat in a war of collective defense and sanction. Much turns on the extent to which recognition and acquiescence may counteract any elements of illegality which may infect such procedures in some cases. Disposition of the kind normally are recognized by multilateral peace treaty or otherwise. In same cases, for example, the Geneva Conference of 1954, in regard to Indo-China, the express delegation of power prior to agreed disposition of territory ensures that a certain number of states are bound to accept the results of procedure. Future? Even in the future, the consent of Japan is indispensable for the transfer of sovereignty of Takeshima. I think U.S. was smart enough to put Dokdo as Japanese territory if she wanted to give Dokdo to Japan. But she didn't. She couldn't because the other Allied Nations didn't agree with U.S. policy over Dokdo. Is the evidence of this personal opinion a distorted Australian question? I am demanding not your essay but evidence.